When installing a Sure-Flo flapper style foot valve it is important to have the hinge at the top of the valve. The hump or cavity in the valve body where the flapper is hinged swings the flapper out of the water flow. The hinged flapper style valve is efficient and allows for a wide-open valve with very low friction loss. The hump should be in the upper most position aimed at 12 o’clock towards the surface of the water source. The flapper is not spring loaded which allows for a wide-open valve with very low friction loss. 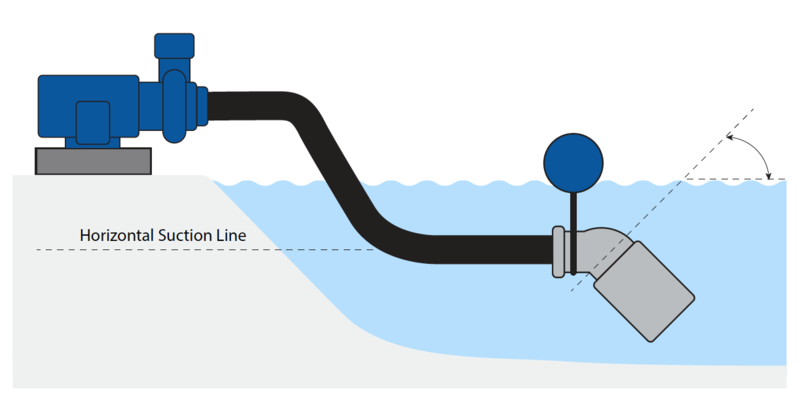 The valve requires a small amount of suction lift (vertical distance from the water surface to the pump center line) 4 feet is sufficient static head pressure to seal the valve. 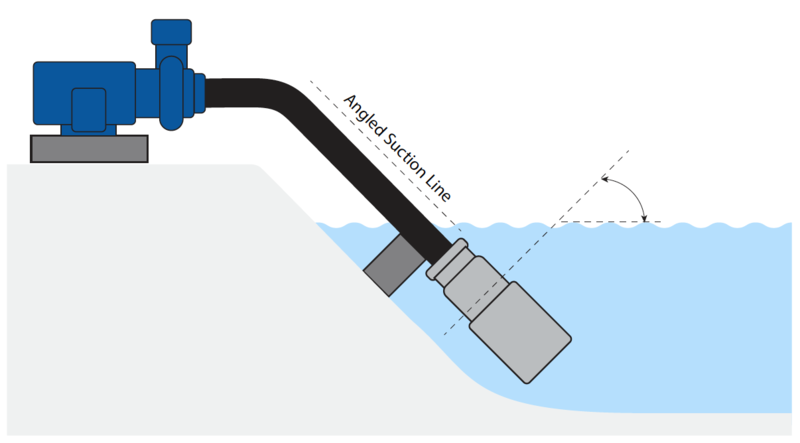 The valve should be chosen based on the angle or orientation of the suction line in the water. When the valve is closed the flapper should be sealed or seated at an angle. 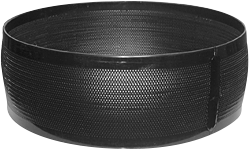 The suction line can be floated or supported from the bottom of the water source. The best most clear water to pump from is the middle of the water column (not next to the surface near floating debris, and not near the bottom close to silt or sand).